Outside the home you can access your broadway using a WiFi hot spot or a LTE/3G connection. 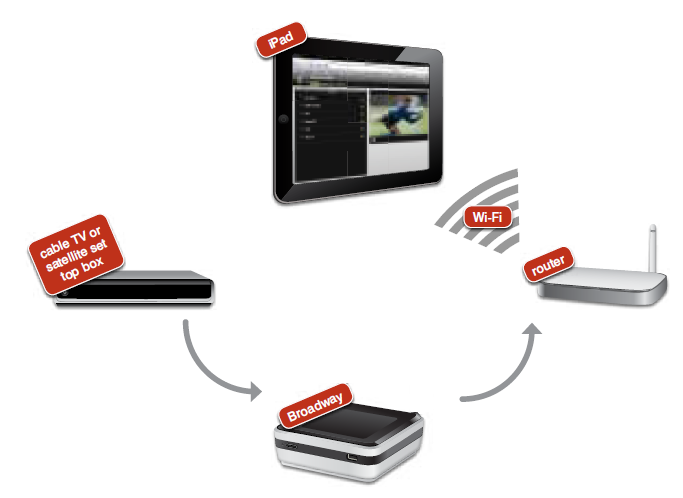 Playback of TV stations or recordings using DLNA, for example from a Smart TV set. Connect your set top box using the analog video inputs and control the device with Broadways IR blaster functionality.